Make sure to select the appropriate data feed, which is dependent upon the indices or data list you have, and the type of data you would like to request. Different data feeds are available based on the data plan you have chosen. 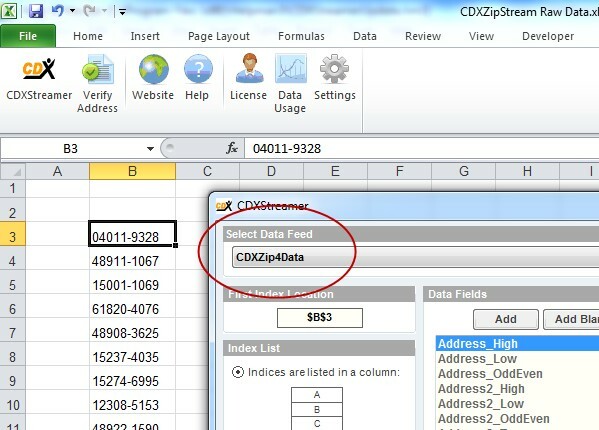 Please refer to the CDX Technologies website at www.cdxtech.com for a full listing of the data feeds offered in CDXStreamer. Once you have successfully obtained data using the CDXStreamer main interface, the data feed you selected will be saved and retained for later use in the same session of Microsoft Excel.